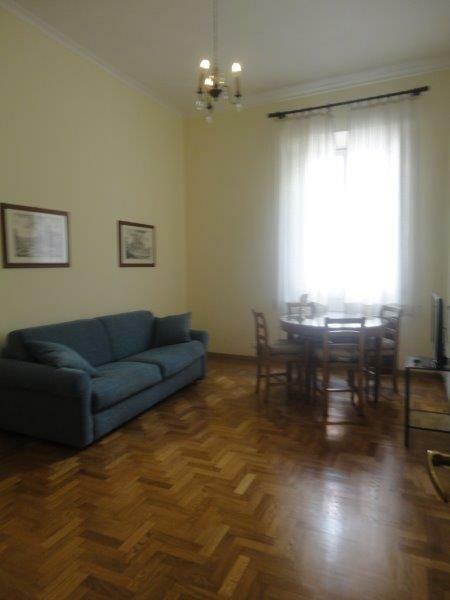 "All'obelisco 2 apartment" is located in the central Rome, in Via degli Scialoja 18, on the third floor with elevator, in an elegant building of the '900´s, about 300 m from Piazza del Popolo. Dozens of restaurants of all kinds can be reached by foot in 5 minutes. Also within a walking distance there are: theaters Sistina, Sala Umberto, Quirino, Bagaglino and many cinemas. The metro stop (Line "A" - "Flaminio - Piazza del Popolo") is only 200 m away, the taxi station is 300 m away in Piazza del Popolo; countless bus lines and trams pass by the adjacent streets, so any area of ​​the city is easily accessible. This beautiful apartment of 100 square meters is suitable to comfortably accommodate two couples, but even a family of 4-8 people, If so whished, under the b&b formula. The rooms, one with double bed, the other with twin beds which can be joined, are equipped with HD TV 32 "with international Sky. 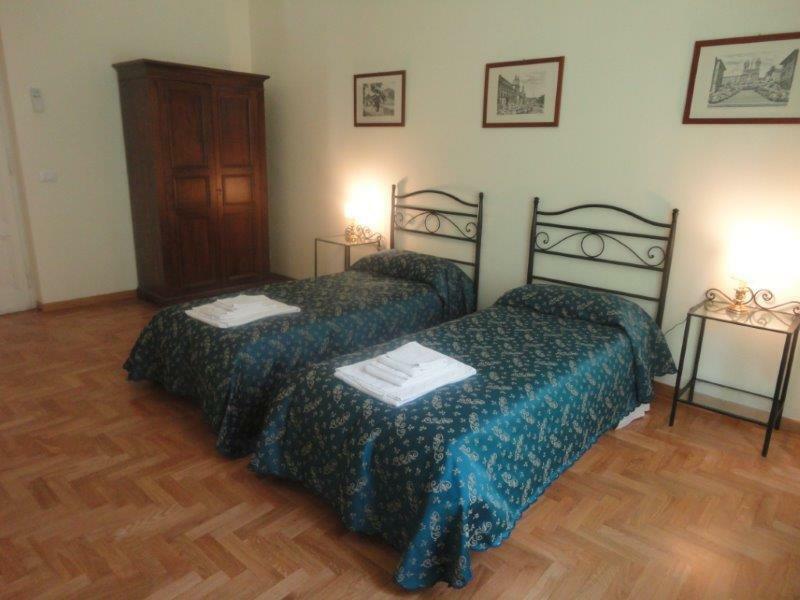 The decor is simple and elegant with new and comfortable beds and mattresses. 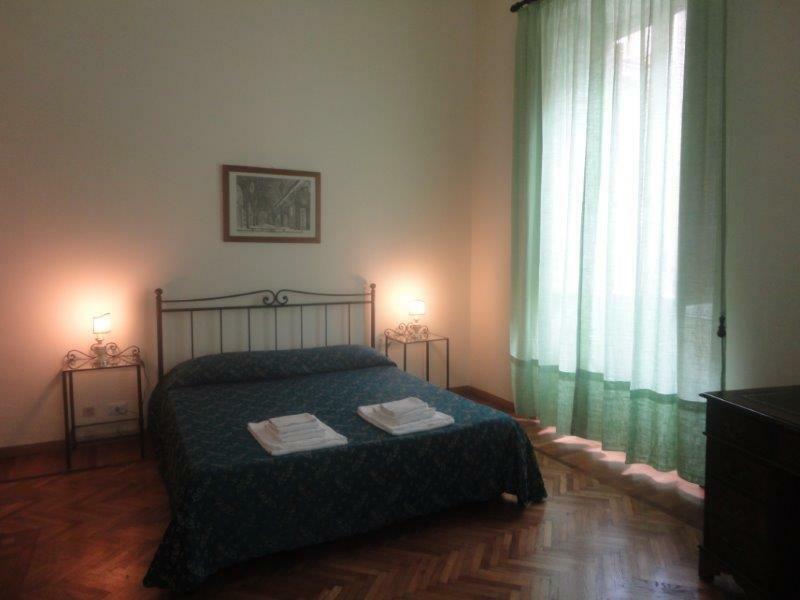 The air-conditioning (hot / cold) is equipped with individual remote control and services the whole apartment. The apartment is equipped with high speed 20 megas Internet access with wireless signal so you can access Internet from all rooms with your laptop or smartphone. Who wants access to the Internet and does not have the PC, you can use the supplied PC in the apartment. "All'obelisco 2 apartment" is about 200 m from the station "Flaminio - Piazza del Popolo" of the Metro (Line A) and is therefore easily accessible from the railway station Roma Termini (4 stops), from Fiumicino airport (train Leonardo Express + Metro) and Ciampino Airport (Bus + Metro). 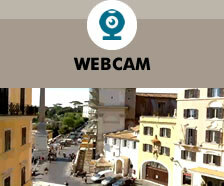 The taxi station is 400 m away, in Piazza del Popolo. Many bus lines stops are about 200 m away in Piazzale Flaminio. It is possible to book a car service with driver for transfers to and from airports, railway stations, Civitavecchia´s Port and other places. 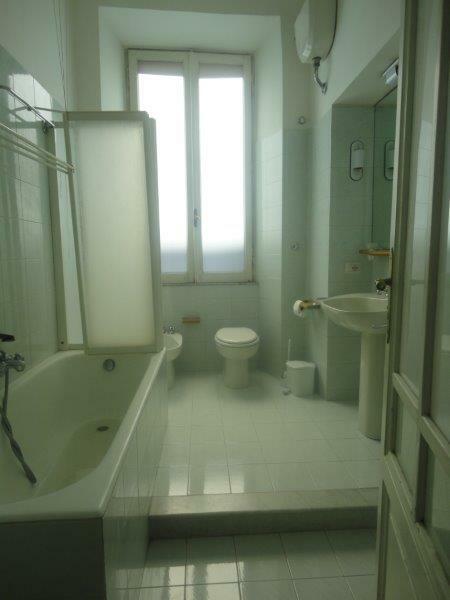 Following you can find guidances on how to achieve "All'obelisco 2 apartment". Take the train (Leonardo Express) which runs every half hour from the airport to the Termini station and costs 14 Euros; then take the Metro Line A (1.50 euro) to "Flaminio - Piazza del Popolo" and walk for about 200 m. Otherwise we can book you a private car which will charge you depending on the number of passengers and luggage (From 50 to 90 euros). Taking a standard taxi could cost you about 48 euros. Take the Cotral bus from the airport to the Metro station "Anagnina". Then take the Metro A (1.50 euro) to "Flaminio - Piazza del Popolo" and walk for about 200 m. Otherwise we can book you a private car which will charge you depending on the number of passengers and luggage (From 50 to 90 euros). Taking a standard taxi could cost you about 35 euros. Take the Metro A (1.50 euro) to "Flaminio - Piazza del Popolo" and walk for about 200 m. Otherwise we can book you a private car which will charge you depending on the number of passengers and luggage (From 35 to 50 euros). Taking a standard taxi could cost you about 15-20 euros. The apartment is located outside the Limited Traffic Zone (ZTL) and therefore can be accessed at any time. 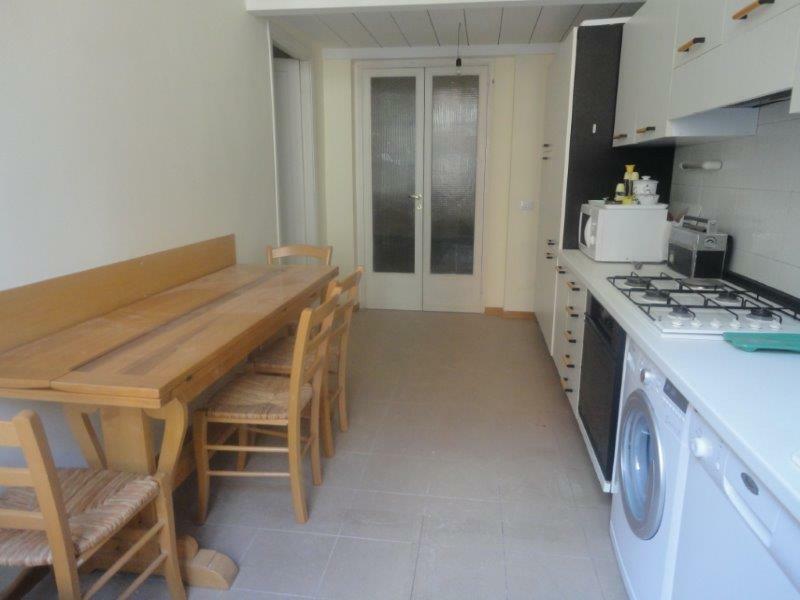 The car can be left at the Garage Bertollini (via Gianturco 3 tel +39063202458), less than 100 m from the apartment. The cost is 20-30 euro/24 hours.